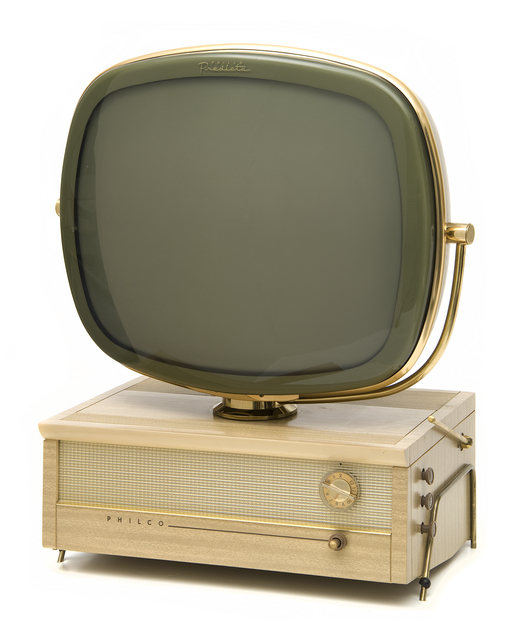 This is the 'Predicta' model of a Philco television set, created ca. 1958. To see a video about why this piece is so special and to enter a contest, please check the MNHS Facebook page! This hair dryer was used by Pauline Young & son John E. Young at the African American-owned & operated Satin Doll Beauty Shop in Minneapolis between 1950s-1991.To see a video about this piece, please check the MNHS Facebook page! 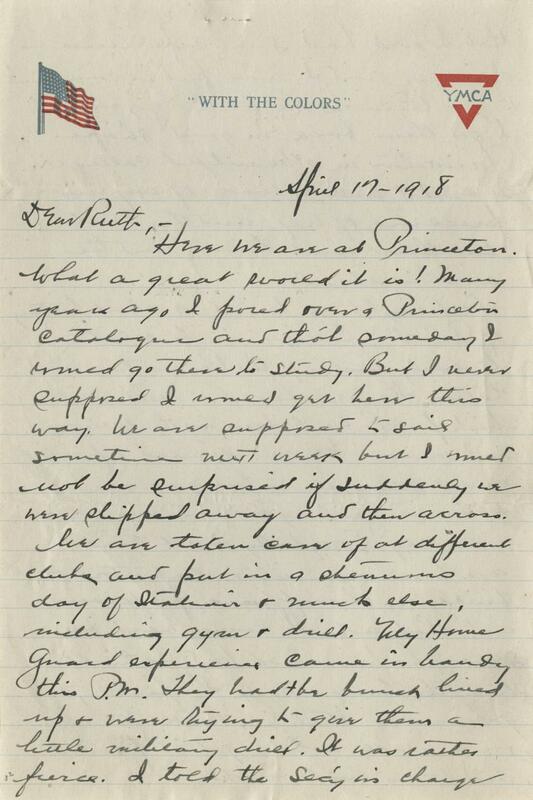 "I am past 71 years of age, and not able to do much in any other way, but I do want to help in this time of need," says Mrs. Fenlason to Mrs. Lowry of the American Red Cross. 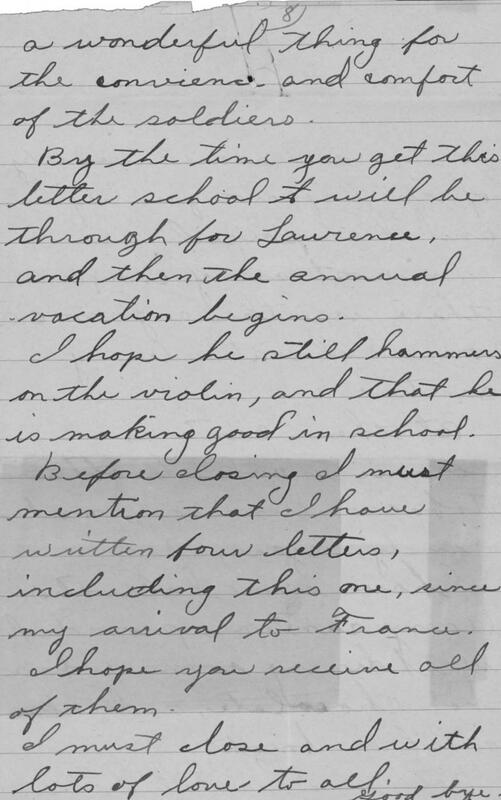 In her letter, Mrs. Fenlason displays great desire to help in any way she can, so she asks the Red Cross if she can knit for them. She requests details about yarn and other particulars so she can offer her best service. 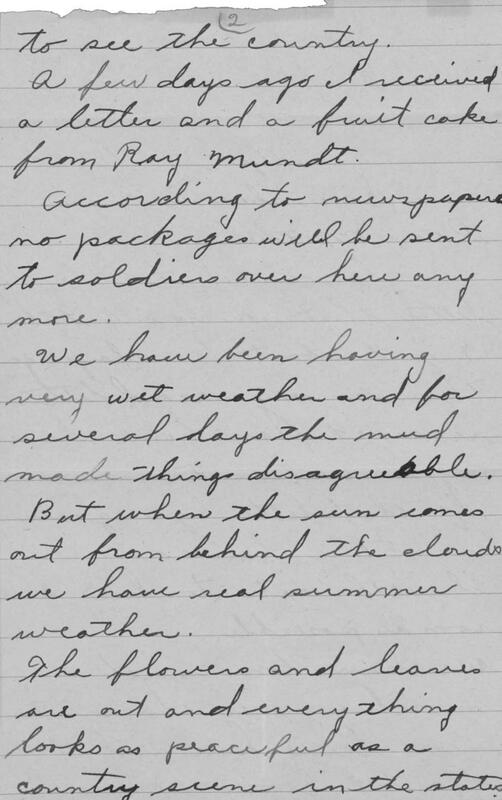 The Red Cross responded a couple days later that they would greatly appreciate her knitting as contribution to help the war effort. They suggested that she could knit washcloths and sponges, and explain that the yarn is five cents a ball. 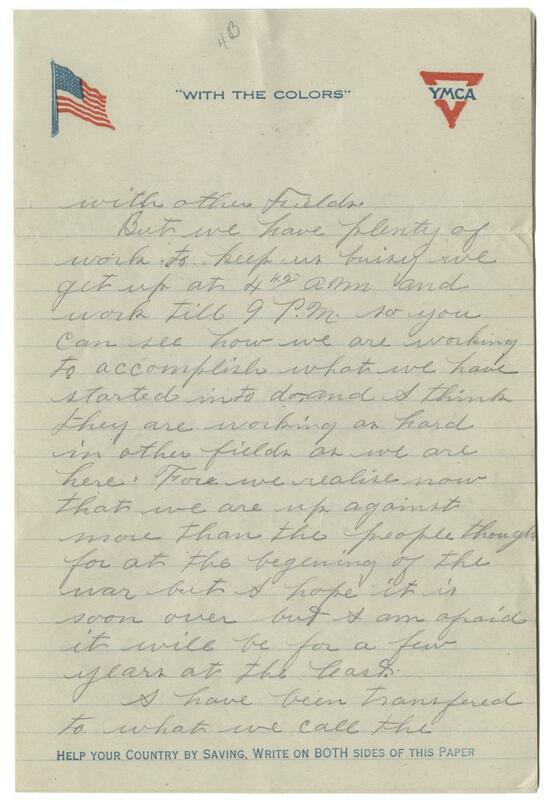 Mrs. Fenlason serves to demonstrate that people of all ages offered to help in the war effort in any way they could. 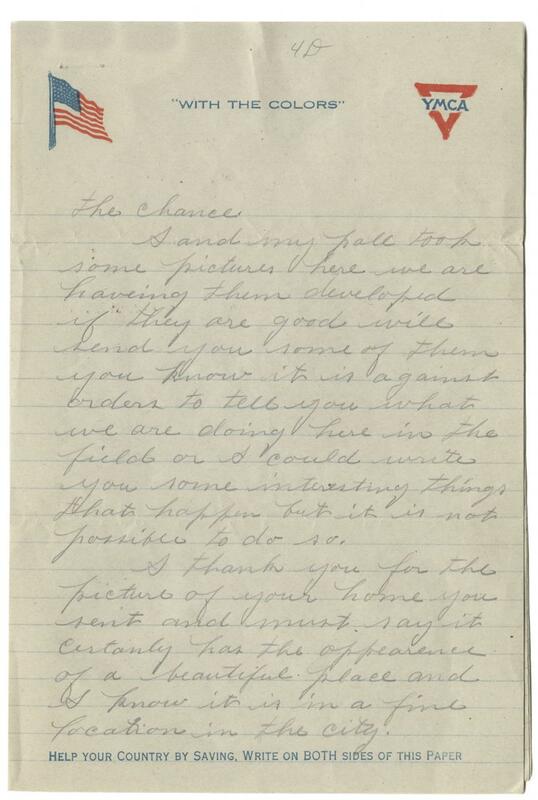 In this letter, Mrs. Charles Jerome offers Mrs. Lowry of the Minneapolis Branch of the American Red Cross the suggestion of vetting applications from women who would want to serve the soldiers by writing letters to them. 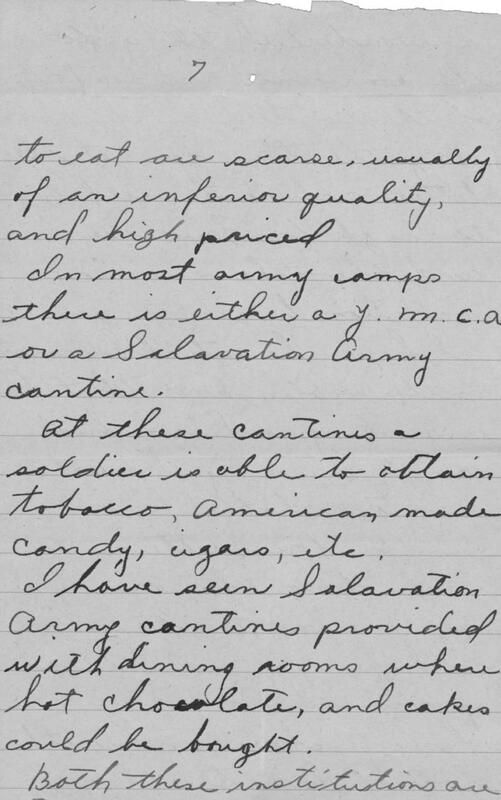 Specifically Mrs. Jerome suggests that these “true women” serve as “mothers” for the soldiers abroad who do not have their own wives or mothers. 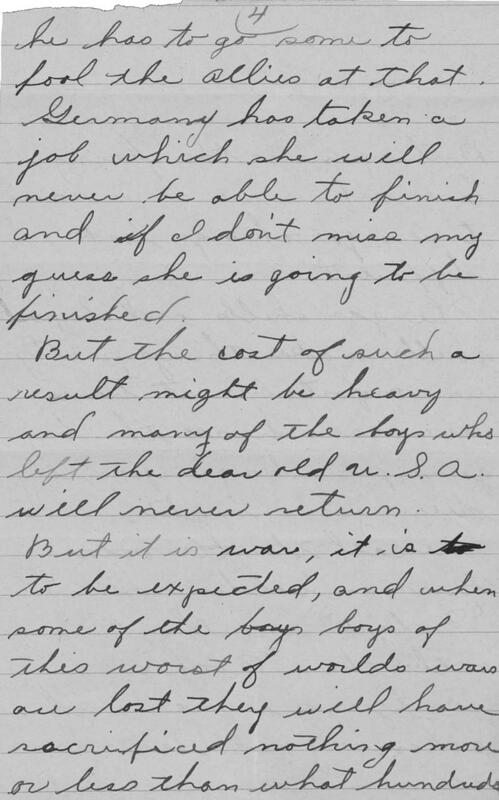 The purpose of the letters would be to give “cheer and moral uplift to one who would otherwise be without this sympathy.” Attached to the letter, Mrs. Jerome included a draft of the application the women could fill out, including name, age, religious preference, language, and a pledge to write at least once a week to their soldier. 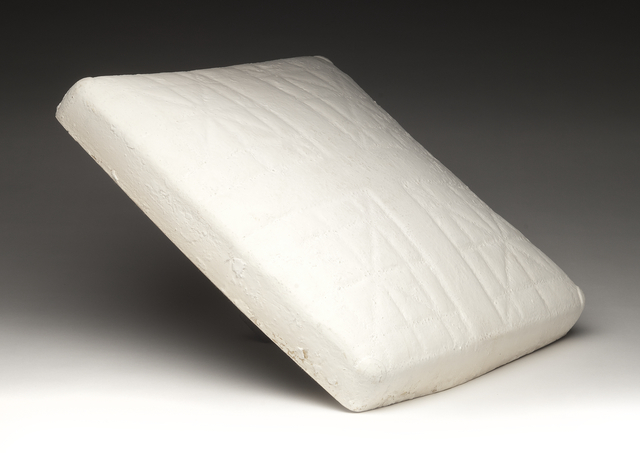 Square white rubber base used at the Metropolitan Stadium in Bloomington, Minnesota, where the Minnesota Twins played, 1980-81. The base was repainted after each game and was used during the last Twins game at the Metropolitan Stadium on September 30, 1981. 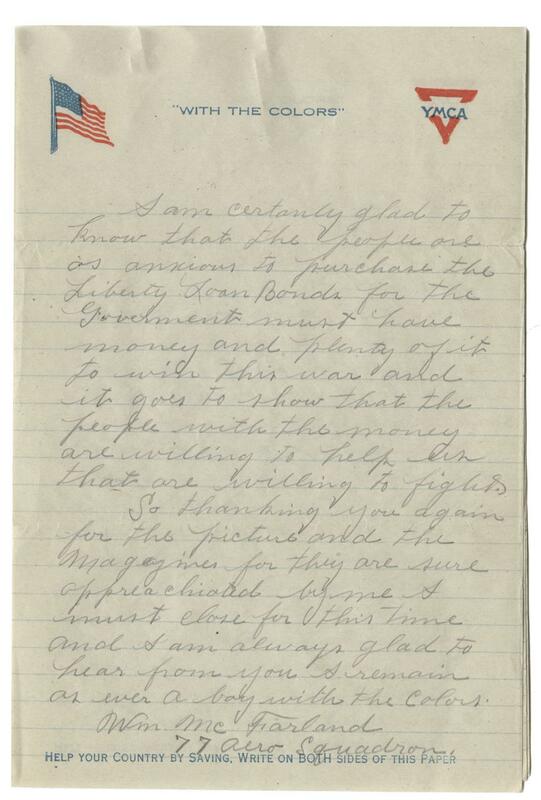 "One Huge Struggle Between the Forces of Good and Evil"
John Bowe received this letter from Gwendolyn Brodrick in France. 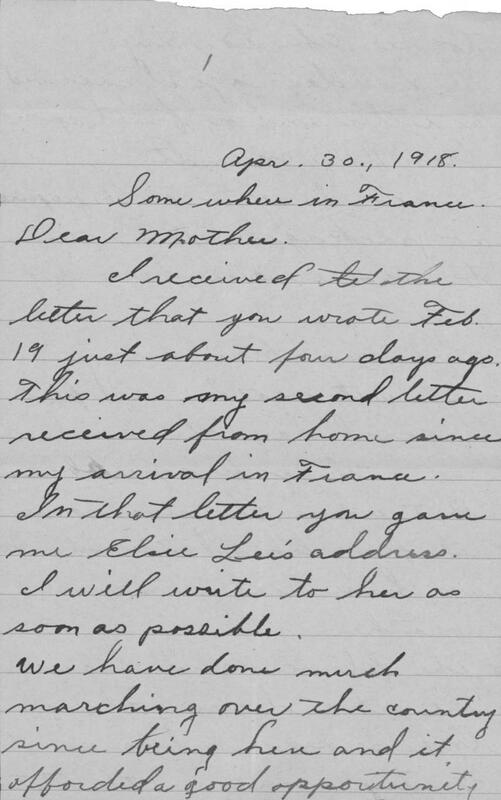 Bowe indicates in a note attached to the letter that he met Brodrick at a hospital in Vosges, France. 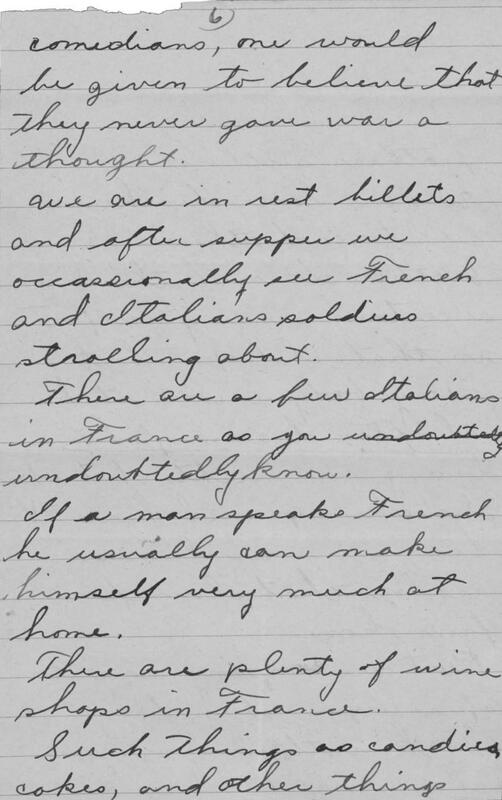 At present, she and her daughter were running an English canteen in France, near the trenches. 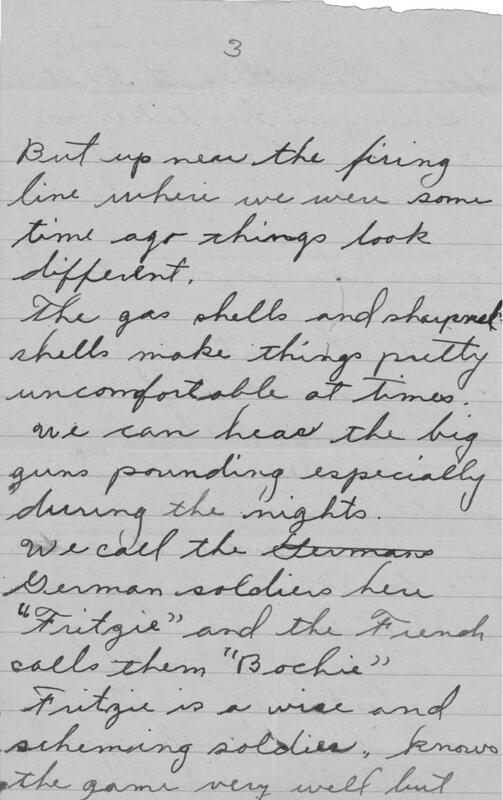 Brodrick writes that the war has become something bigger than just different nations making alliances and fighting each other, but is now a battle between good and evil, wherein each side has elements of both. 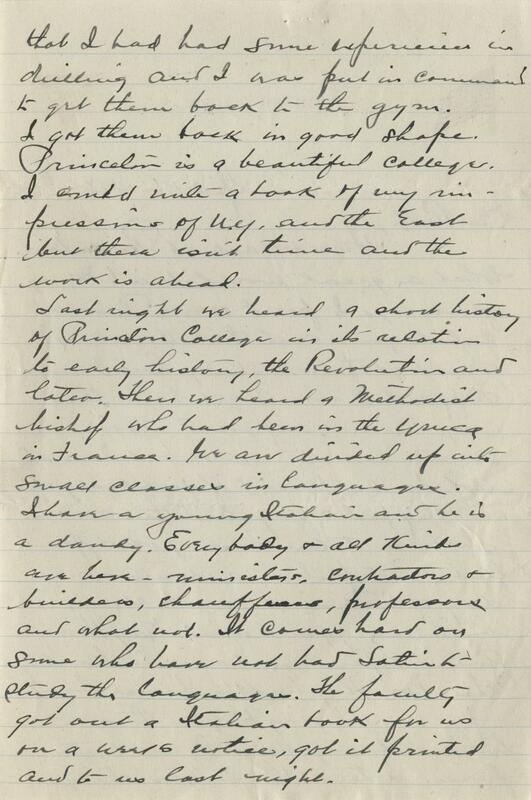 In 1920 Brodrick self-published her book, Au Front, in which she describes running the canteen during the war. 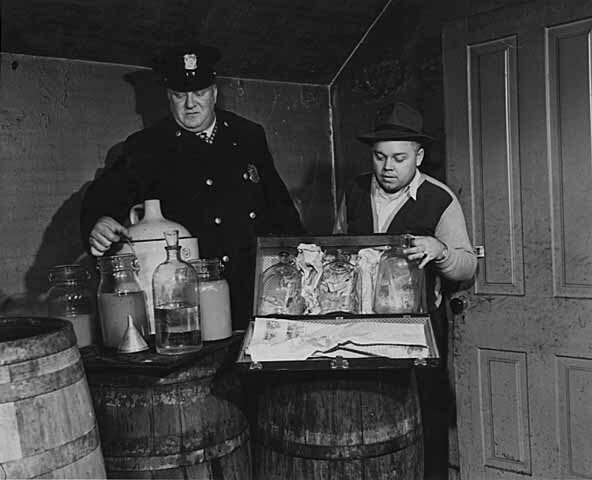 On this date in 1924, a prohibition scandal took place in which two agents were arrested for stealing $100,000 in confiscated liquor that had been stored in a Minneapolis warehouse. Eventually, four agents are suspended and warrants are issued for seven others. This photo is from a police raid on an illegal still operation a year later in 1925. 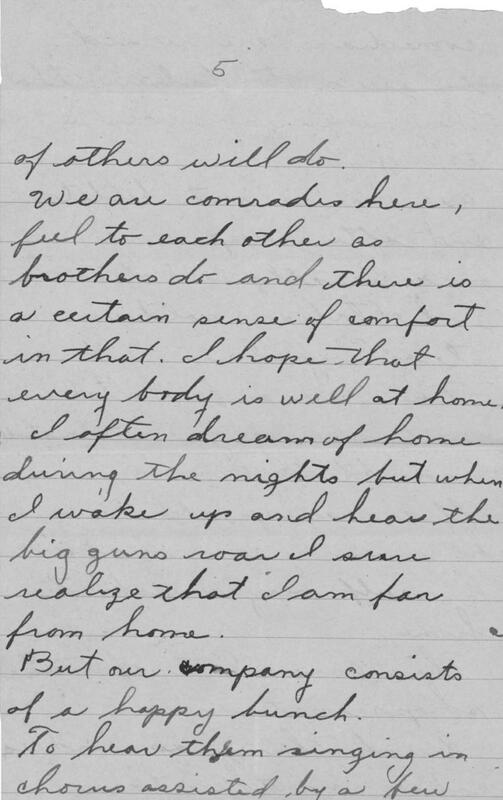 In this letter to his pen-pal, William McFarland of the 77th Aero Squadron describes the long hours of work the men put in as they are stationed in Texas. 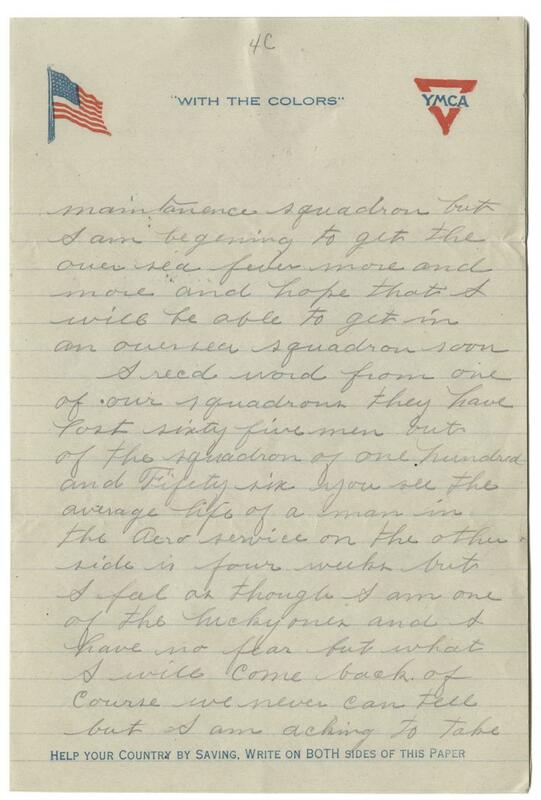 McFarland greatly desires to be sent overseas to fight, even though he mentions that the average life span on a pilot on the front is about four weeks, and the squadrons suffer heavy casualties. I recd. 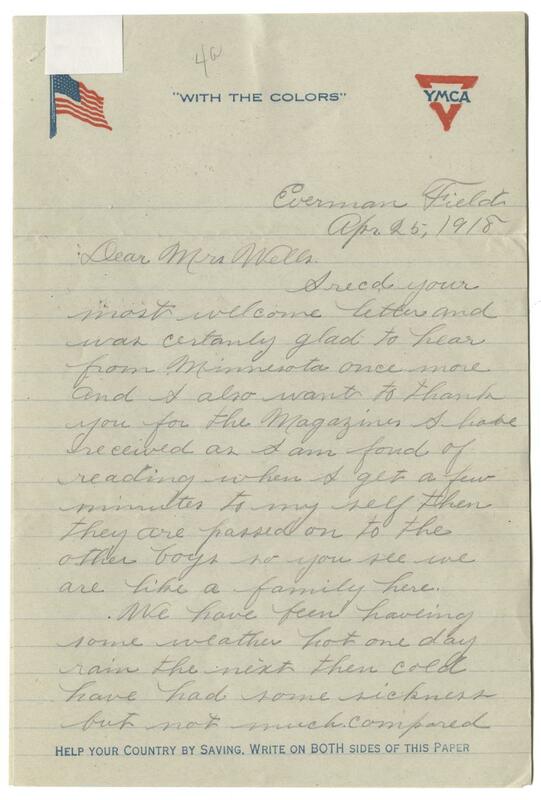 your most welcome letter and was certainly glad to hear from Minnesota once more and I also want to thank you for the Magazines I have received as I am fond of reading when I get a few minutes to my self then they are passed on to the other boys so you see we are like a family here. [...] we have plenty of work to keep us buisy [sic] we get up at 4:45 a.m. and work till 9 P.m. so you can see how we are working to accomplish what we have started in to do, and I think they are working as hard in other fields as we are here. Fore we realise now that we are up against more than the people though for at the beginning of the war but I hope it is soon over but I am afraid it will be for a few years at the least. 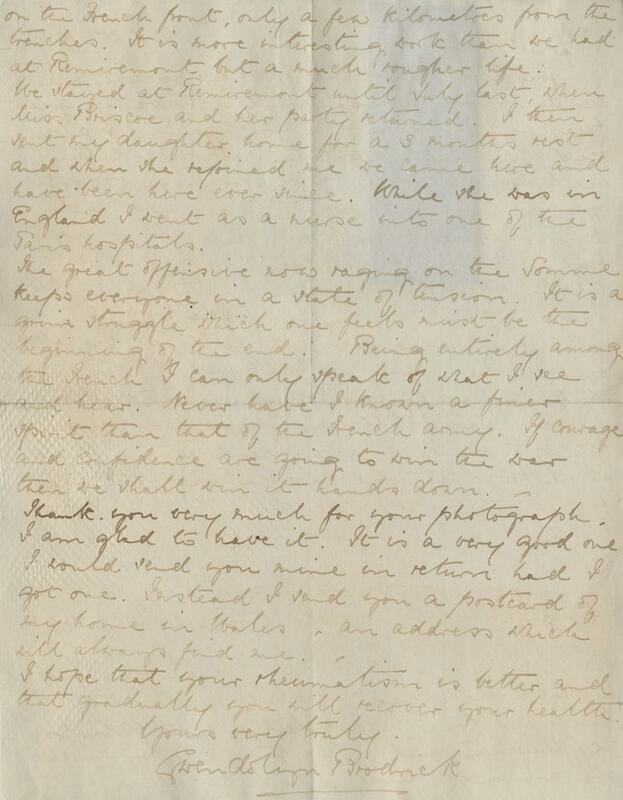 [...] I rec'd word from one of our squadrons they have lost sixty five men out of the squadron of one hundred and fifty six you see the average life of a man in the Aero service on the other side is four weeks but I feel as though I am one of the lucky ones and I have no fear but what I will come back. Of course we never can tell but I am aching to take the chance. 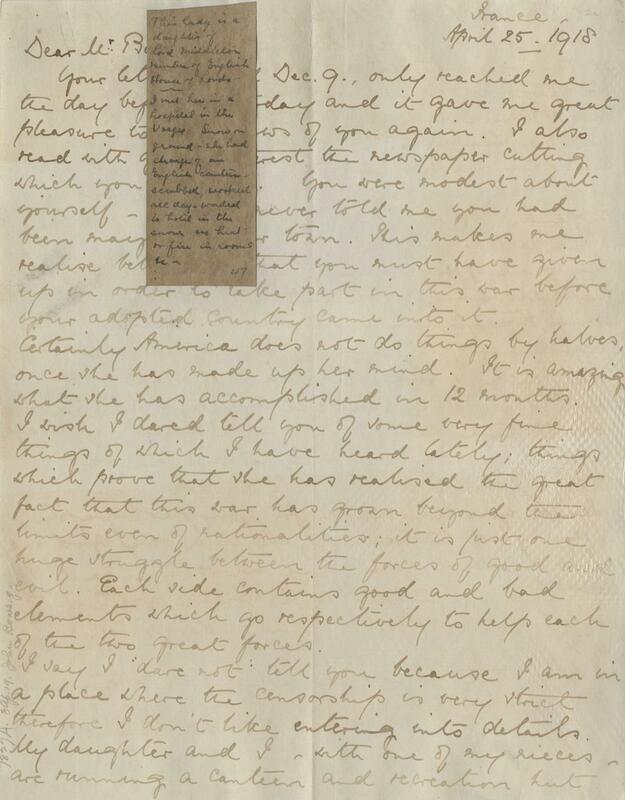 [...] I am certanly glad to know that the people are as anxious to purchase the Liberty Loan Bonds for the Government must have money and plenty of it to win this war and it goes to show that the people with the money are willing to help us that are willing to fight. 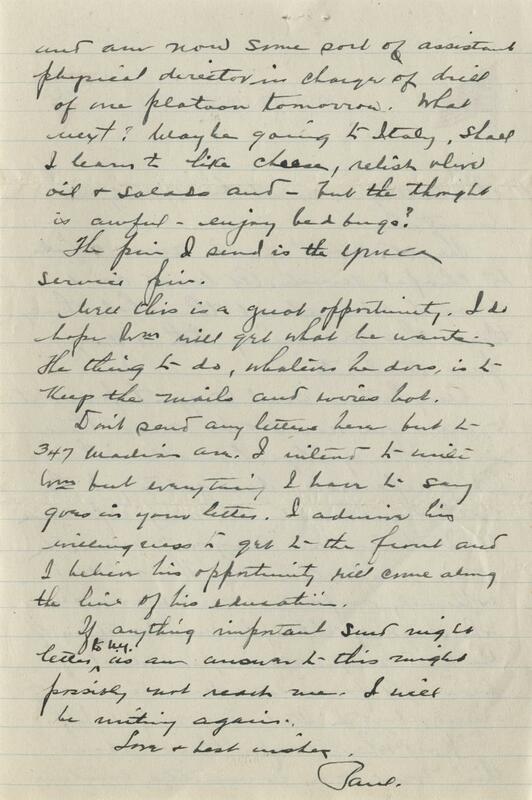 [...] I must close for this time and I am always glad to hear from you. I remain as ever a boy with the colors. 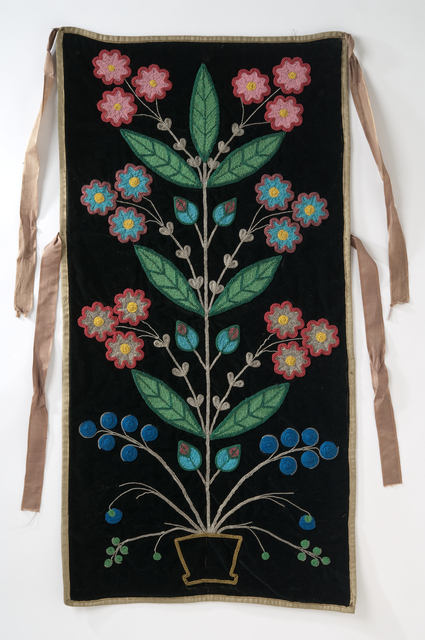 This fabric panel is spot-stitch decorated with multicolored glass seed beads; possibly Ojibwe. It was collected by Bishop Whipple between 1860 - 1901. 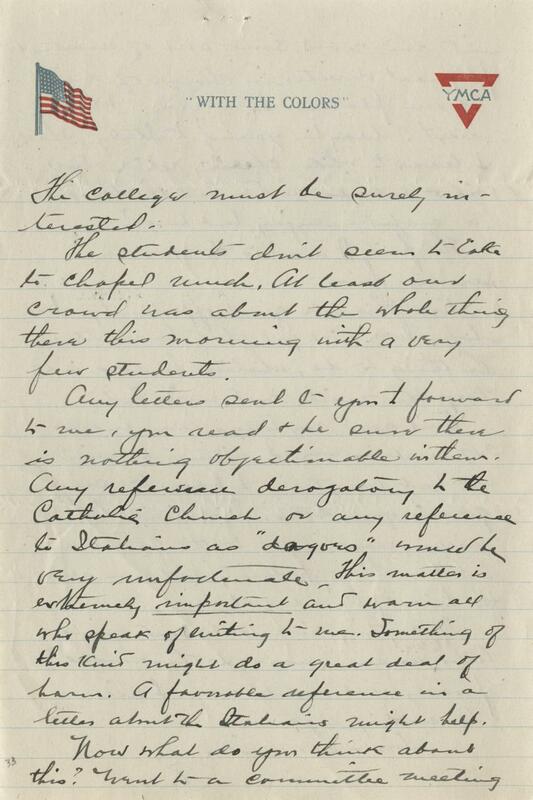 The date range is based on the dates Bishop Whipple spent in Minnesota working for various government commissions for Indian Affairs.